I don’t know of the first man or the last, but I used to watch Ebert as a kid. Loved seeing him and Siskel argue it out. And thanks to him, Two Thumbs Up is a household phrase. And thanks to him, Two Thumbs Up is a household phrase. Chinua Achebe differed from the other two in that he actually produced a body of work which was his own. I disagree–Roger Ebert knew a great deal about films and the film industry. His reviews were trusted, and people spent their money based on his recommendations. Plus he did other things in the film industry (wrote movies), and he won a Pulitzer. He was a pretty cool dude. I believe he did write A movie. Winning a prize doesn’t mean a whole lot to me. He was a critic after all, and it’s a lot easier to be a critic than to be an artist. We should keep that in mind. 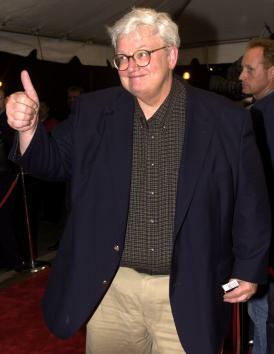 Millions of people would agree with you that Ebert was a cool dude. I’m just not sure where that coolness bleeds into historical significance. Sounds fair–and that’s how most “At The Movies” reviews I saw ended up anyway. I should add that Chinua Achebe is very much worth reading. I don’t suggest that you necessarily “put him on your list,” but rather “be aware of him.” Somewhere down the road your paths may cross at the right time. That happens sometimes. Some people must be really sad for the loss of these three people no matter how abominable they could be at times–I’m sure everyone has been abominable to at least some people they encounter–but I’m sure I’m not. Other than not having them play any pivotal role in my life, I can’t even force it…I mean, death’s not all bad, is it? I just feel weird because I called Ebert a weirdo in some comment two days ago. And now he’s dead. Great timing, Ebs. See you soon. Bu not that soon, okay? Well, I think that’s pretty typical of people in general. We “feel” the passing of people who meant something to us. Because figures in the media are so present in our lives, it’s easy to identify with them and to feel real sorrow at their passing. However, as it sounds like is the case with you (and is definitely the case for me), I never had a whole lot of use for Roger Ebert (I’m sure he was a nice man), so it’s not terribly personal for me. I don’t think Ebert was a bad person by any means, or that he cultivated the popular overestimation of his contributions to society or even that he wasn’t a damn good movie reviewer (that’s the consensus anyway), but that he WAS a movie reviewer. I’m sure not the one to judge who’s bad because of something they do. Maybe Ebert’s bad, maybe he’s good. I don’t know. But if I could have my say on movie reviewers–nah, I never really bother listening to anyone’s critique on something before I have my own assessment of it. I’d rather watch/read something than listen to what anyone has got to say. Perhaps that’s why I really couldn’t care so much about his death. I could sympathize with the grief of those who hold him dear, but that’s about it. And yesterday was the anniversary of both Kurt Cobain and Layne Staley’s deaths. I do wonder how these dudes died in that car. I mean… dying of carbon monoxide poisoning in your vehicle anywhere but your garage seems strange. Stuck in the mud and the exhaust couldn’t clear maybe? But why did they just SIT there? I have to say up front that I don’t get the American obsession with “celebrities” of any kind. Thus, the death of someone “famous” means no more or less to me than that of anyone else I didn’t know personally. If a popular rapper is gunned down by a rival, how is that worse than an innocent child being killed by a stray bullet in a gang fight? If a troubled actor or musician commits suicide, why is that a greater loss than the suicide of an “unknown” troubled individual? A buddy of mine died on the same day as someone famous (I can’t remember who exactly; there have been a spate of celebrity deaths recently), and I thought about exactly that thing. On a purely intellectual level, it’s easy to understand. The death of a celebrity is much more interesting to the general public than the death of my friend. If we were to appreciate every single life the way that life deserves, we’d never be able to get out of bed in the morning. But thinking from the heart, it does seem unfair that a person who is in some cases best known for being infamous gets more attention than a non-famous person who was truly deserving of accolades. 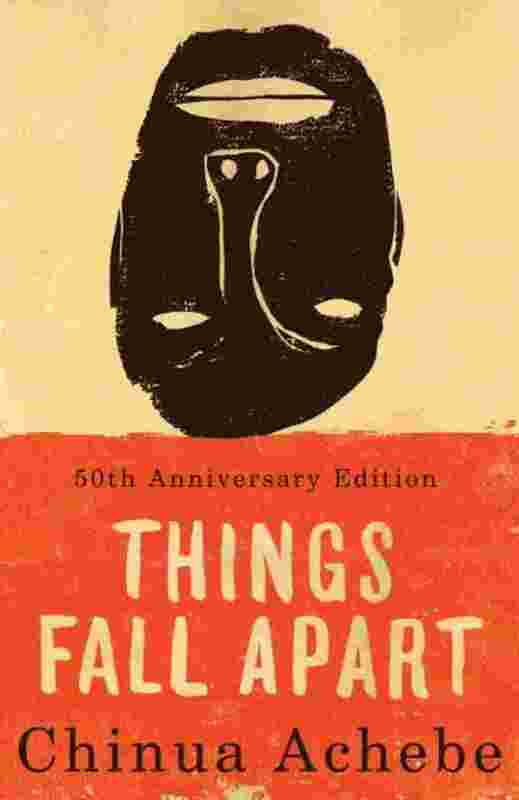 I read Things Fall Apart about 40 years ago. I recall liking it, but it’s no longer fresh in my head. Big shock, eh? It’s quite an accomplishment to read that book when you haven’t even reached your first birthday, so congratulations! I read TFA quite a while ago as well (probably right at 20 years), as well as “Man of the People.” I enjoyed them both. Are you gonna do a tribute to Annette Funicello and Margaret Thatcher…!? !